Rui Costa (Lampre-Merida) rode to victory on a chaotic stage six of the 2015 Critérium du Dauphiné as Vincenzo Nibali (Astana) recovered from a poor performance on stage five to move into the overall lead. The pair arrived at the catgeory three summit finish together, with Nibali unable to contest the sprint with the former world champion having spent much of the day in a breakaway of an elite group of riders. Nibali seemed intent on getting away from the GC rivals he’d lost over a minute to the day previously, attacking through constant rain on the early climbs of the day and making it into the first unsuccessful 19 man breakaway. The Italian champion went on a solo attack on the category three Col de Grimone, before being joined by the riders that would make up the day’s successful break, which included Alejandro Valverde (Movistar), Tony Gallopin (Lotto-Soudal), Tony Martin (Etixx – Quick-Step) as well as Costa. 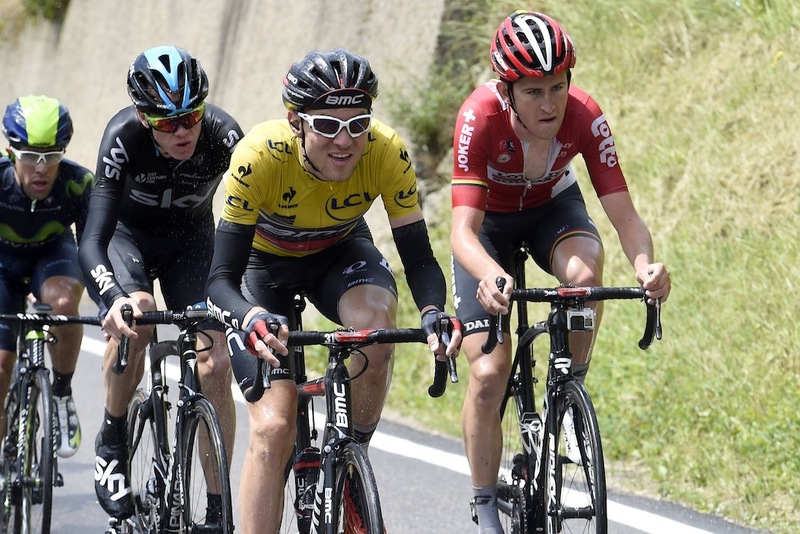 The fivesome managed to create a gap of over three minutes to a reduced peloton behind, which included Chris Froome (Team Sky), Joaquim Rodriguez (Katusha) and race leader Tejay van Garderen (BMC). 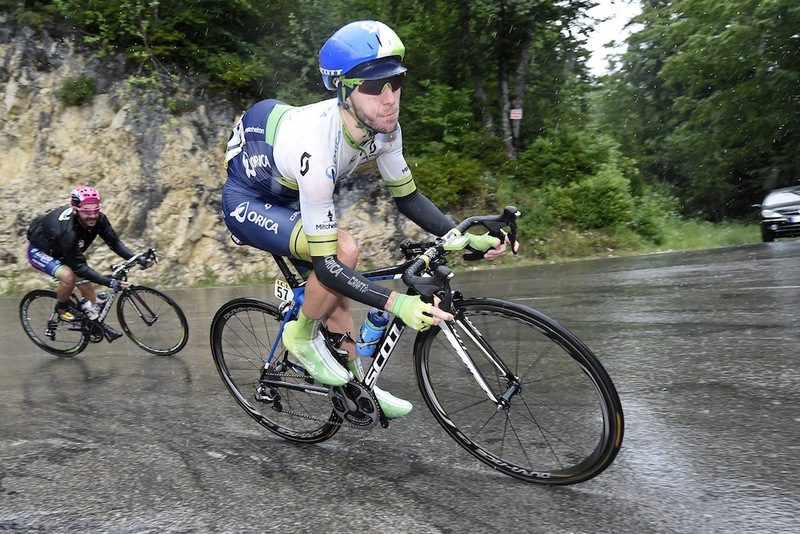 A whole host of riders, including Britain’s Alex Dowsett (Movistar), were forced to abandon due to the pace and constant attacks from those at the front of the race. Three time world time trial champion Martin was the first to drop off the pace with around 22km to go, as the break maintained well over two minutes over the chasing group. The remaining four never looked liked they would succumb to the attacks from behind, and Gallopin was the first to make a move for the line with 4.5km remaining on the final climb of the day. Italian champion Nibali was the next to go at 1.5km remaining, sprinting round Valverde and Costa to catch Gallopin before heading onwards to the finish. 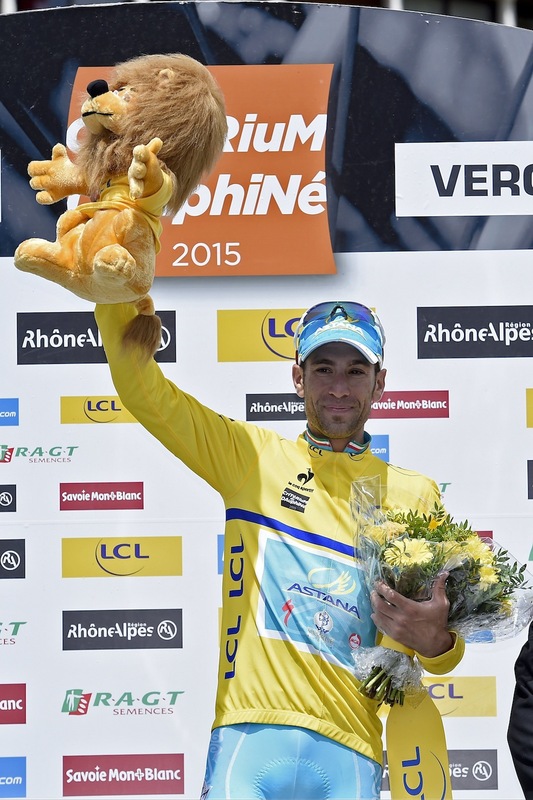 It looked like no-one would stop Nibali from taking the stage honours and the overall lead, but Costa was able to regather himself to chase down the exhausted looking 2014 Tour de France winner and beat him to the line. The Portuguese also moves up the GC into second, 29 seconds behind yellow jersey. Behind, the likes of Dan Martin (Cannondale-Garmin) and Simon Yates (Orica-GreenEdge) attempted to bridge the gap, while Froome looked to be struggling to hold the relentless pace on the last of the six categorised climbs on the 183km route. Yates is now Britain’s highest placed rider in the overall, having rolled in 1-24 down on the stage, sitting in fourth place 35 seconds off Nibali. Froome is now seventh, 1-21 down haveing finished over two minutes behind Costa. 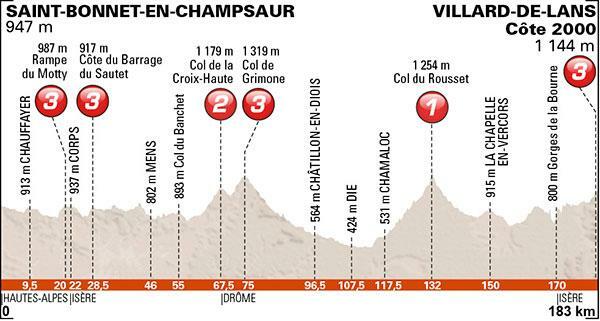 Saturday’s 155km stage seven sees another chance for the GC riders to attack, with another relentless route which takes in four category one climbs, including a summit finish to Le Bettex.